Please select your colours. You can choose 1 colour for bag, 1 colour for personalized text, 3 colours for the flowers, 1 colour for the horn, 2 colours for the ears, and 1 colour for the eyelashes. Please select your personalized text. 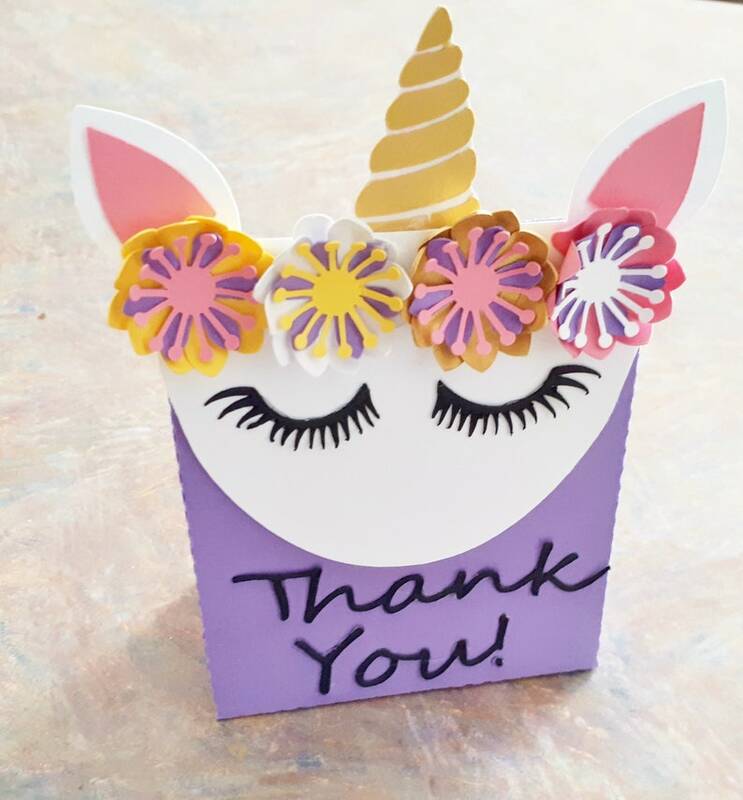 Unicorn Paper Favour Bags are a great addition to any fantasy or unicorn themed parties or events. Perfect for a small thank you gift, food, or candy. Small for little hands. Personalized text is available. Add a name, Thank You, or Party/Event Date. Has to fit 2.5 inch width so only 1 or 2 words or a date. Can be made in the colours of your choice. 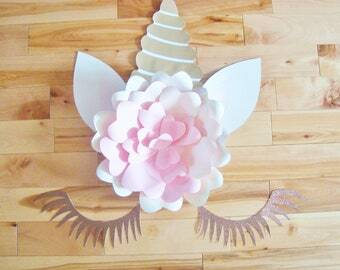 Can choose 1 colour for bag, 1 colour for personalized text, 3 colours for the flowers, 1 colour for the horn, 2 colours for the ears, and 1 colour for the eyelashes. Exactly like the pic!! And she was fast too!! Amazing experience working with Renee! She is very helpful and patient. The flowers are beautiful. Shipping was on time and fast. I highly recommend this company! Love the flowers and shipping was very fast!! Renee was awesome to work with! She was super quick with getting them put together, sent preview pictures and followed up to make sure they arrived in great condition. I would order again from her hands down! We accept payment through paypal, credit cards, and debits cards when applicable. Please notify us if you have any problems with payment through paypal. As all items are custom made to order (and details will be discussed prior to items being made) we do not accept refunds. We will work with you to ensure you get an item you like and will keep. So please contact us immediately with questions or concerns. We do not refund items that were damaged by customer. If you feel that the item you received was not what was discussed or was damaged in the process of shipping please connect with us within 5 days of receiving your item and we will help in anyway we can. We do accept exchanges in some cases. Please message us to discuss our exchange terms and conditions. The item must be shipped back in the same condition it was received and we will provide you with replacements. International shipping time can take up to 12 weeks due to shipping delays or being held in customs. If you have a time restriction on your order please make note of this and contact us as we may not be able to guarantee shipping times once the package has been shipped. We ship directly to the address posted on your Etsy profile, so please make sure that it is correct and up to date. Please contact us if you would like your item shipped to another address. To find out our current processing time please check the shipping section of each listing. 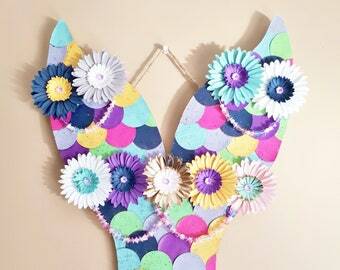 Shop announcements will also be posted on our etsy shop page. A confirmation message will be sent once item is shipped. If you have a huge custom order we will notify you if there will be a delay in when the item will be shipped. If you received an item and it is no longer up for sale but would like to receive one in a different colour or send it as a gift please feel free to contact us. We are also willing to help match accessories as a set is you'd like (if you have purchased a necklace and would like matching earrings, or etc. ).